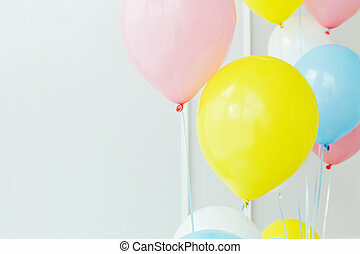 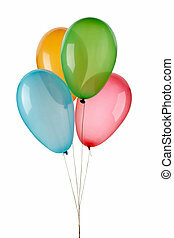 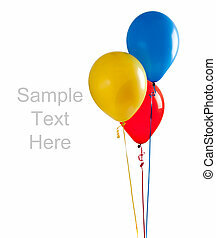 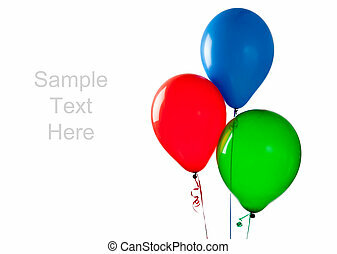 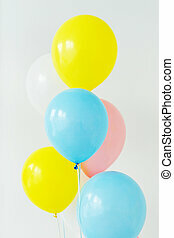 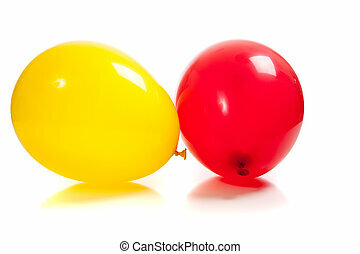 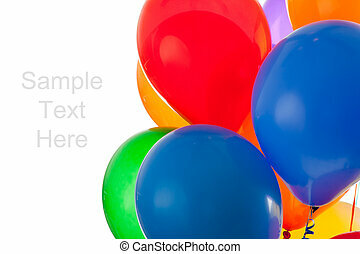 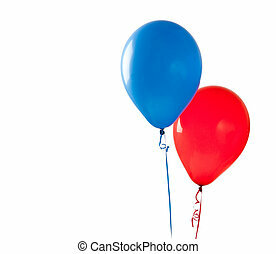 Colored balloons on a white background. 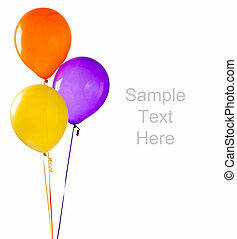 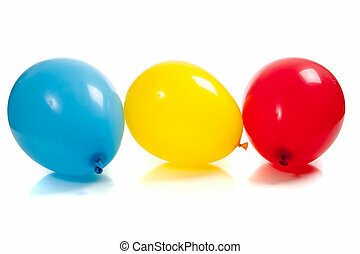 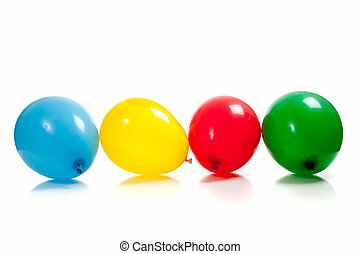 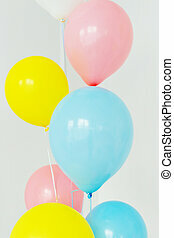 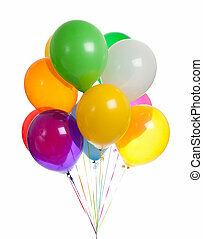 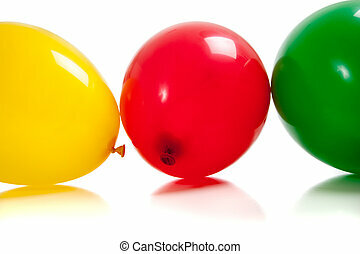 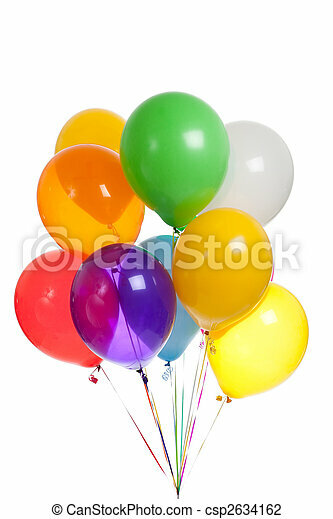 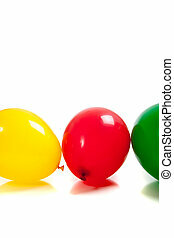 Colored balloons including green, yellow, blue, red, white, orange, purple and orange on a white bakcground. 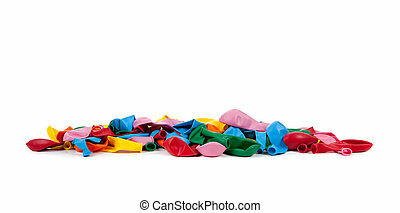 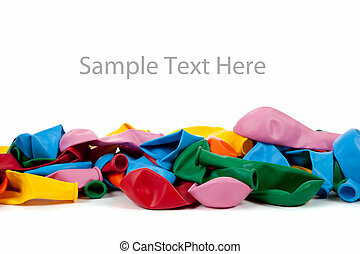 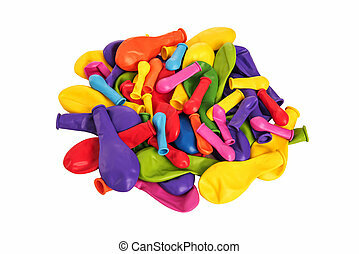 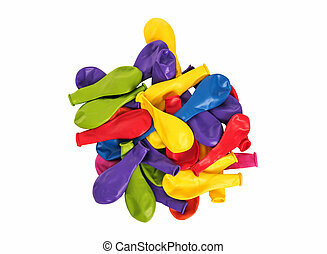 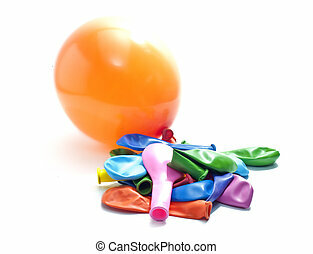 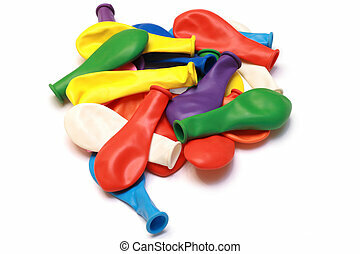 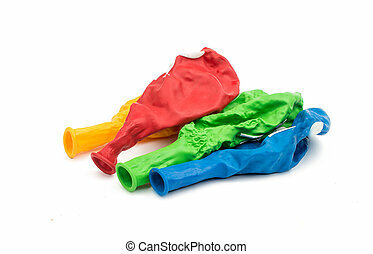 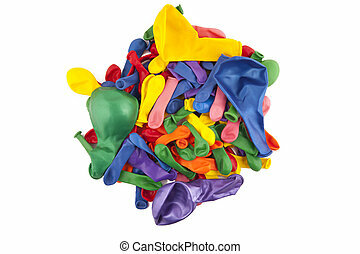 Pile of multi-colored balloons on a white background. 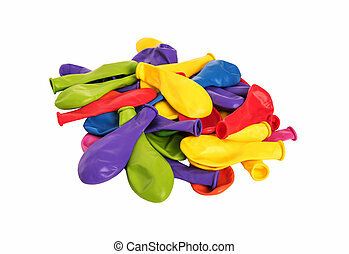 Preparation for the holiday. 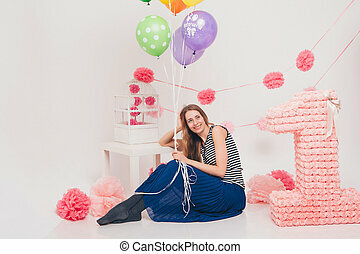 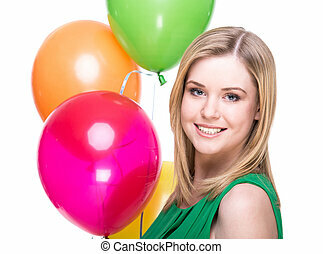 Portrait of a young, smiling woman with colored balloons on a white background.